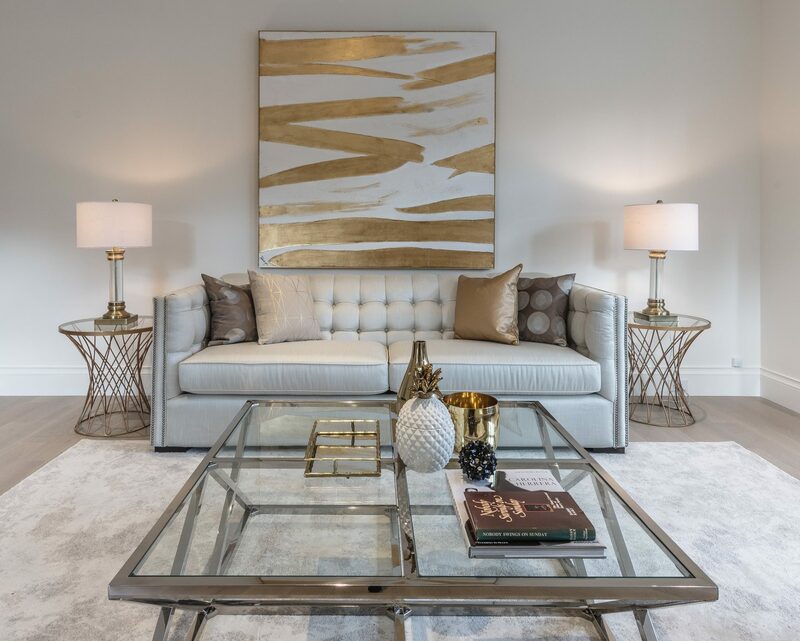 Mixing Metals is a definite YES in Home Staging! 1. Reflections Art $59, 2. Gold Orbit $14, 3. Destiny Coffee $139, 4. Luxor Console $99, 5. Kira Lamp $59, 6. Geo Candle Rose $12, 7. Copper Geo Sphere SM $12 LRG $14, 8. Denzel Chair $45, 9. Kira Floor $89, 10. Gemini Coffee Table $129, 11. Zoey Lamp $49. Gone are the days were people want to see beige beige beige with espresso wood. Slowly the look of greys and chrome everywhere in home staging is fading out. 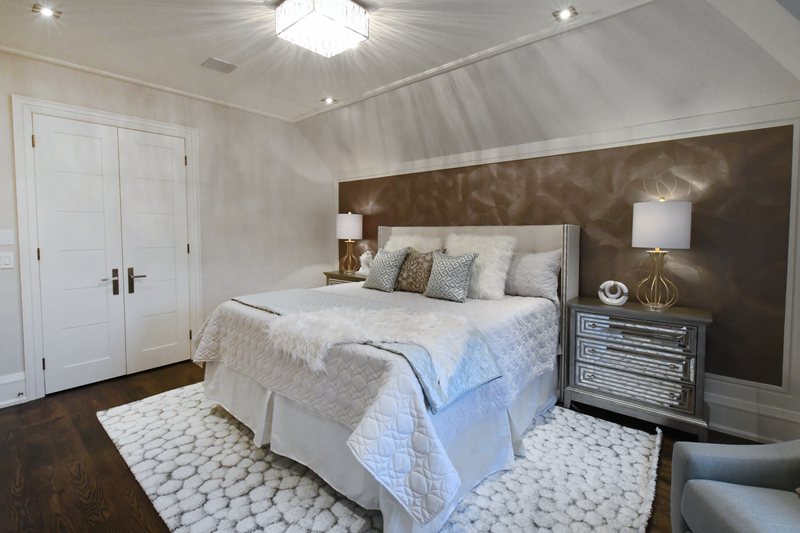 As the public becomes more educated about home staging due to decorating shows on HGTV and through the demand for home staging, the look of staging has definitely become more warm, with small unique elements and added touches of personality. The public is now looking for universally appealing magazine quality looks in homes, hence the mixing of metals! What an easy and amazing way to create a beautiful updated stunning space that can look like it just came out of a magazine. Chrome often comes across as cold and sterile. Warm the space up using soft gold accessories, soft gold pillows, and throws with touches of gold. 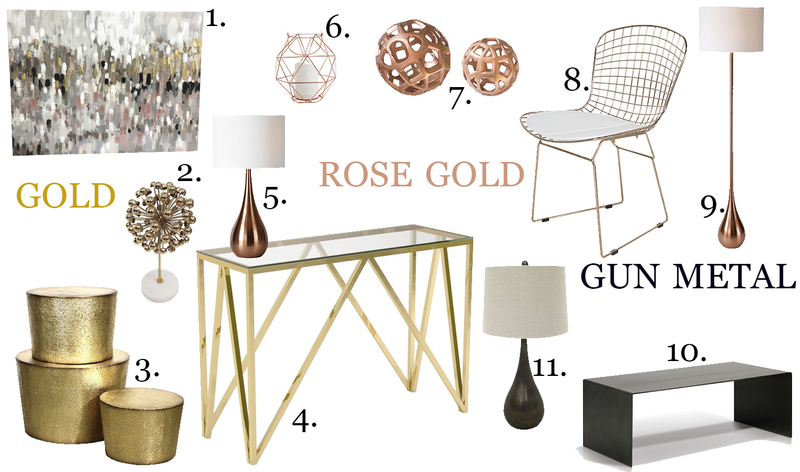 Use rose golds with soft yellow golds to create a glamorous, higher end look. Mix black metals with chrome to create a modern, clean lined and striking space. 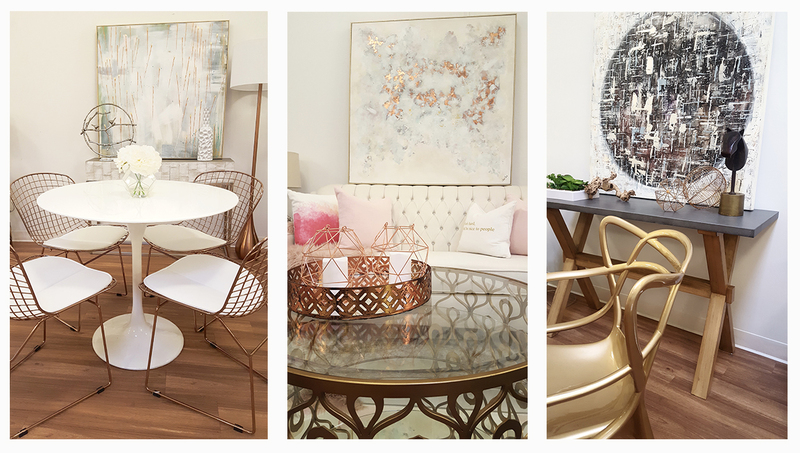 A few home stagers and agents embraced the mixing of metals a few years ago. Some felt it was a trend or fad and were scared to jump in. 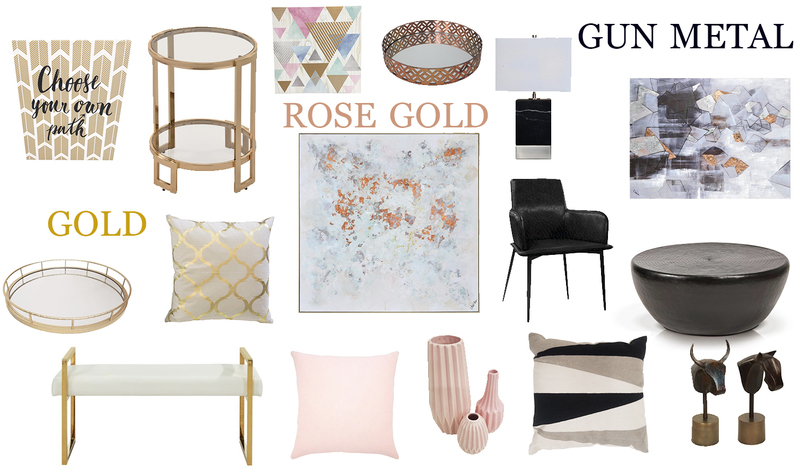 I am asked often by stagers if golds, rose golds and black metal are here to stay and the answer is a definite YES. We have been increasingly investing in these types of metals, adding them to the Lux Furniture Rentals selection to meet the constant demands from our clients for these metals. 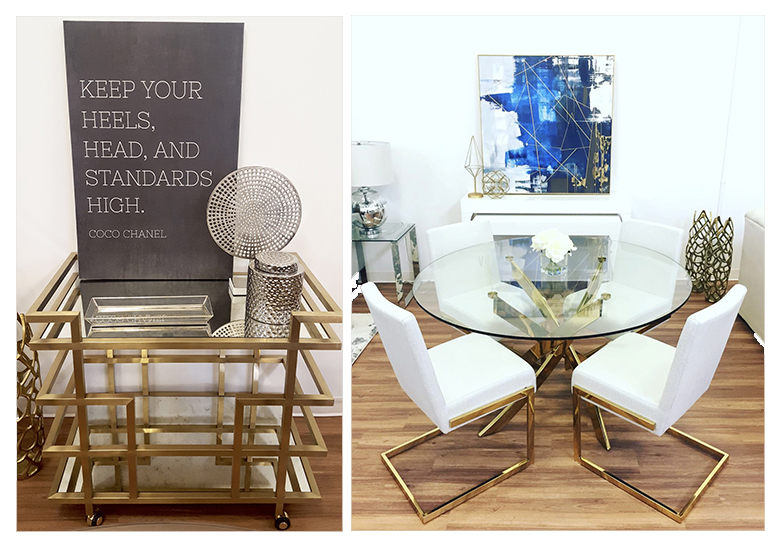 It has been around for a long time now and it is time for all of us to embrace the change, love the change and create unique stunning spaces with mixed metals. Give it a try and fall in love!